Andrew Adil | Coburn & Meredith, Inc.
Andrew Adil has over thirty years in the insurance business beginning his career at The Travelers. At Travelers, Andrew was tasked with handling sales promotion, new business, customer service, sales and compliance. 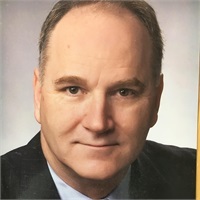 After leaving the broker/dealer, Tower Square Securities, he joined the firm CM Smith which handled the retirement planning for employees at Hartford Healthcare and Saint Francis/Mt Sinai among other smaller accounts. In his eight years at the firm he worked with hundreds of health care employees in helping them to invest in their financial future. Since leaving in 2013, Andrew has worked with individual clients to serve their investment needs for a comfortable and sustainable financial future. Andrew is an Investment Advisor Representative with FINRA registration Series 6,7 & 66. A native of and present resident of Wethersfield, Andrew has served on the George Ritchie Soccer League as a board member and coach. He has also been a Commissioner of the Historic District, Conservation Commission and he currently serves as the Governor’s appointment to the Metropolitan District Commission (MDC). He served for eight years on the Wethersfield Town Council, the last four as deputy mayor and mayor. Andrew and his wife Dawne (Paulhus) have five children.